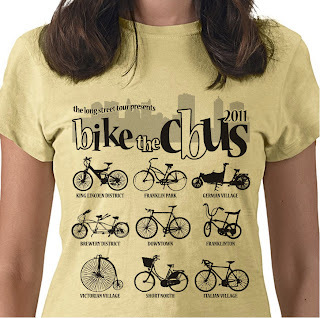 2011 Bike the C-Bus YELLOW limited edition shirt is available to ORDER! Shirts should be available to pickup at Urban Spirit Coffee Shop after August 11th! 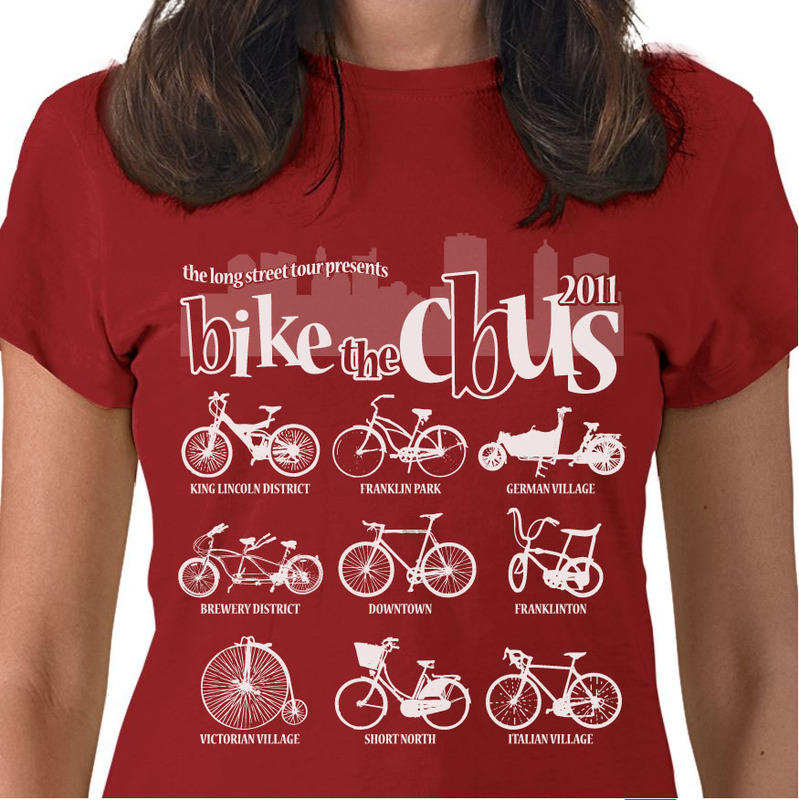 2011 Bike the C-Bus RED limited edition shirts are available for order! Shirts should be available to pickup at Urban Spirit Coffee Shop after August 11th! Order it here! • Slide into other hard-to-clean areas like derailleur pulley wheels, hubs and spindles, brake arms, bottom brackets /crank interface, etc. Are you fit? Does your bike fit YOU? Triformance is a 2011 Bike the C-Bus sponsor! Triformance has donated "20$ OFF" Gift Cards for all sponsor bags and a "FREE FIT" certificate worth $249 for the 2011 raffle! Register by August 15th to save $5 and guarantee your sponsor shirt. TRIFORMANCE Swim Bike Run Fit Studio is an exciting new concept in individualized bicycle fitting services for any type of cyclist — professional racers, elite amateurs and recreational racers, tri‑athletes, mountain bikers, fitness cyclists and weekend riders. If you are serious enough to clip in, then you can benefit from a TRIFORMANCE fit. Another bamboo bicycle? Yes--but the vehicle devised by Alexander Vittouris departs from the funky, tiki-bar-friendly lines made from this sustainable, globally ubiquitous grass. 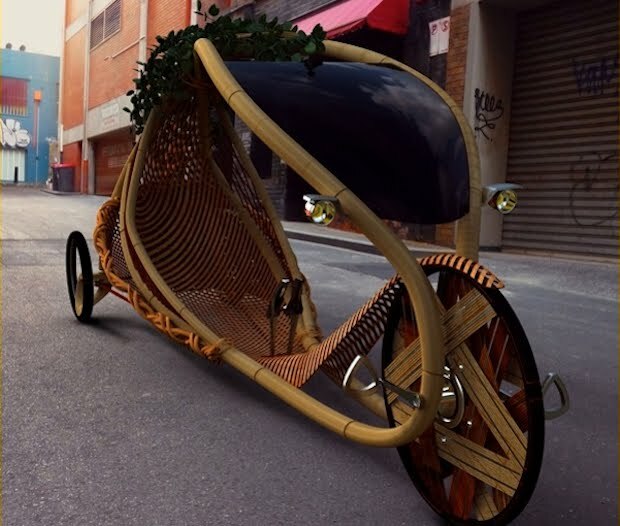 A design student at Australia's Monash University, Vittouris envisions a bicycle that isn't built, but grown--the bamboo stalks of the frame being trained into shape while the plant is growing. Inspired by arborsculpture, in which tree branches are fixed in expressive shapes that they take as the plant grows, Vittouris wants to develop a reusable framework that would shape bamboo into nearly finished bicycles. While arboculture is a craft practice rather than a mass-production technique, its application to bamboo--which may be cultivated inexpensively, and grows with astonishing speed--offers at least a coy gleam of scalability. 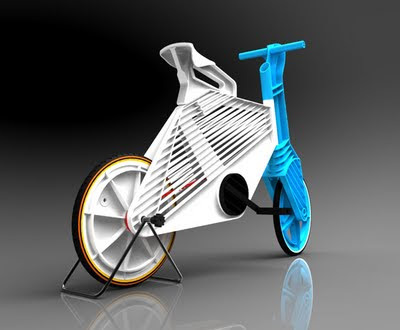 Manufacturing traditional bicycles expends energy and injects waste into the world, whether the frame is some space-age alloy or bamboo. Vittouris by contrast proposes "engaging the environment in (the) production phase through photosynthesis and carbon storage till ultimate destruction." Vittouris' bicycle, which he calls the Ajiro, remains a concept; the project is a finalist for the James Dyson Award, a prize for student work offered by Good Design Australia. But even as conjecture, it's an inspiring glimpse of a different kind of production. The Ajiro goads the blog State of Green to imagine "farmlands full of bamboo manipulated over various structures" in place of bland and wasteful manufactories. Will we ever see green fields of bicycles--or chairs, or bedsteads--growing in the sun? Perhaps not. But even as design fiction, Vittouris' Ajiro may help us ask questions about the things we make. Perhaps by switching our metaphors from manufacturing to cultivation, we'll find the seeds of sustainability. Cleland Ave to Morse Rd. WCBE partners with Bike the C-Bus 2011 to spread the word. And tickets! Listen to WCBE 90.5, Central Ohio's NPR Station starting on August 8 to find out how you can win passes to Bike the C-Bus 2011. Buckeye Grove Shopping Center at the corner of Hoover Road and Route 665, Grove City, OH. Parking in north-east corner of lot only. Roads will be marked and maps provided. Flat to rolling mileage options from 30 to 100 miles. .All routes are marked with arrows on the road, and include a rest stop with refreshments and water. We end with entertainment and a post-ride cookout. The registration fee is $40 day-of-ride, $30 pre-registration for registrations received by Wednesday, August 10, and $10 for kids. Download and print registration or register online below. With bike design, it's almost impossible to produce something entirely new because the basic format has been perfected over 100 years. 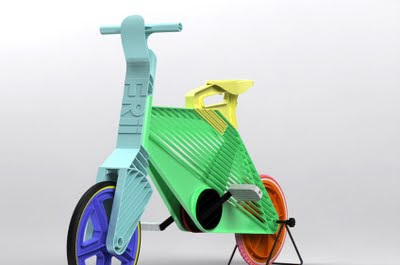 Leave it to a design student to shake things up with an altogether different take on the urban bike -- a groovy, multicolored ride made from plastic with shutter-shade slats. 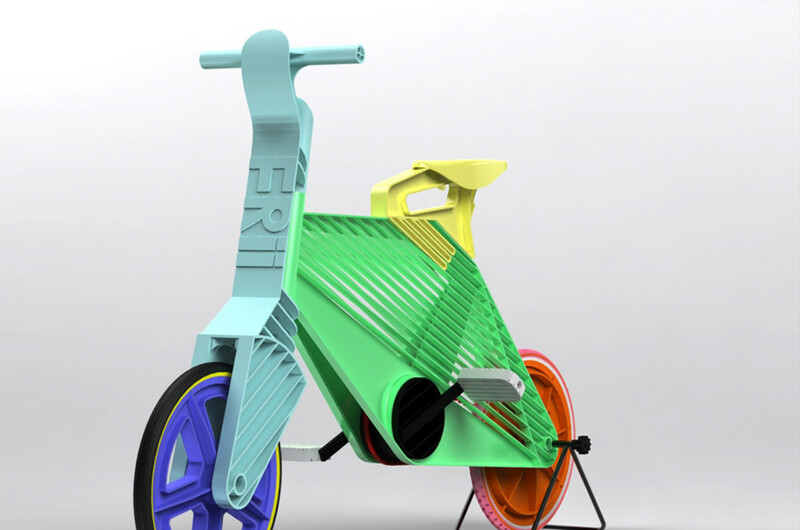 As a student at Jerusalem’s Bezalel Academy of Art Design, Dror Peleg developed the Frii as an alternative to traditional metal bikes, which are relatively labor intensive to make. His version is injection molded from recycled plastic, which, he claims, is better suited to places with limited manufacturing resources and capabilities. The process is certainly streamlined: Peleg placed the bearings into the mold before injecting the plastic, and the tires were injected over the rim. Since the 20-inch tires are plastic, they never go flat; the fork is short to add strength; and a pyramid-shaped crank contributes some stability. We wouldn’t pit the Frii against a Schwinn in a strength and endurance test, but we’re fans of the ugly-in-a-good-way, overgrown-kid aesthetic. (If you're wearing one of these necklaces at the same time, you'd look fab.) If nothing else, Google should order the bike in its logo colors and make it the official company ride. CLEVELAND, OHIO -- Cyclists have a Lorain County man to thank for saving their butts. That man, Elyria native Arthur L. Garford, invented the first padded bicycle seat in the world 119 years ago. When no one bought the patent, Garford decided in 1892 to manufacture the seat --with cushions and springs -- himself. "He was able to launch an industrial empire because of the saddle seats," said Bill Bird, director of the Lorain Historical Society. Sales hit over 1 million seats annually during the decade Garford headed the company. 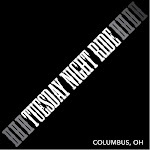 Big thanks to both Columbus Underground and The Metropreneur for supporting Bike the C-Bus 2011. Check out the sites and get the latest news and local entrepreneurial news. We are hosting author/historian David Herlihy’s talk Bicycle: The History (Yale University Press) on Tuesday, September 13, 2011, at 7 pm. The event is free to the public. Herlihy is a historian, freelance writer, and member of the Harvard Cycling Club. His work has been featured in The New York Times, The Boston Globe, Boston Magazine, and Historic Preservation, and on NPR and Voice of America. He lives in Hull, Massachusetts. Feel free to share the link, or request fliers for your event. Let us know if you have any questions. Happy pedaling! An M.P. Dory construction crew installs a railing on the bikeway bridge being built over the Scioto River beside I-670. It is to open on Aug. 15. A $2.1 million bikeway bridge connecting the Hilltop and the Scioto Trail is to be completed soon, but cyclists won’t be headed anywhere fast when they get to the other side. The bridge, which took a year to complete, opens in conjunction with a road project that created bike lanes on Eureka Avenue and Harper Road on the Hilltop, connecting W. Broad Street to McKinley Avenue. The intent is eventually to connect the West Side to Downtown via the trail. “It’s going to be a real nice loop from W. Broad to Downtown, all the way to (Lou) Berliner Park,” said Bradley Westall, greenways manager for the Columbus Recreation and Parks Department. But it will be quite some time before cyclists can complete the stretch. In the Netherlands, respect for bicycles is hard-wired into the culture. Hi there! Thank you for visiting my Kickstarter page. With your support, I’d love to launch what I believe is a truly innovative product into the world. 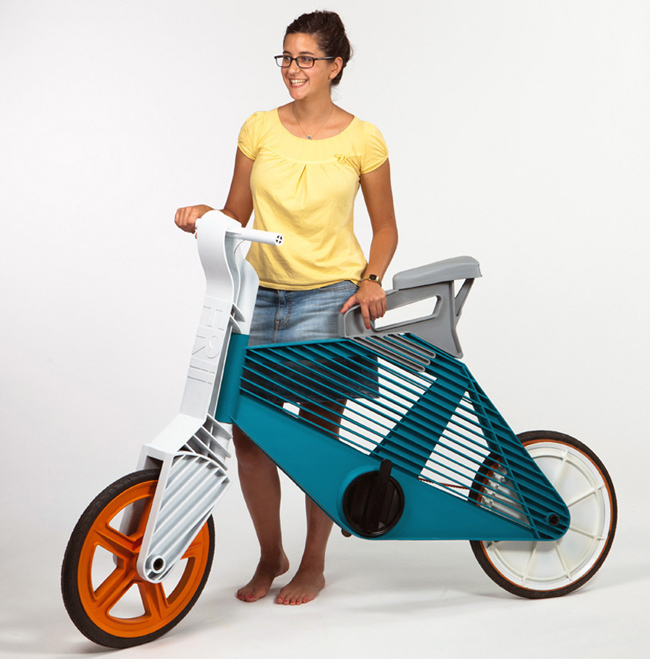 The YouTurn is a revolutionary new type of cycling accessory. It uses motion activated directional signals to essentially turn the cyclists hand into a giant turn signal. It helps keep cyclists safer at night by making sure that motorists understand their intentions. So why do I need $50,000? Working with a local product design firm, we've developed a budget that will take this project all of the way through to the manufacture of the first 1000 pieces. The math was simple, and ended up at $50 dollars per piece. As it ends up, the largest hurdle to jump is the cost of tooling, which comprises most of the cost. That's why I need your help. If I can get just 1000 people to pre-order this device, we can get this project off of the ground, and take a truly innovative product to market. The idea for the YouTurn came from what I noticed as a void cycle light industry. While there are plenty of cycle lights available, most of them just blink and strobe, and in most cases are more of a distraction than a benefit. If you've ever driven behind a cyclist you know exactly what I'm talking about. Additionally, these products do nothing to inform the nearby motorist that the cyclist is preparing to turn. The signals that do exist require modification of the cycle, which detracts from the appearance of the bike while at the same time making it more likely to be stolen. The YouTurn can be thrown into a bag and taken with you anywhere you go.